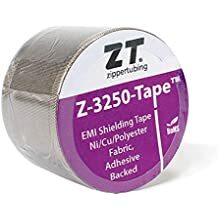 Prt - Heat Shrink Wrap - Heat Shrink - Products - ZT | Zippertubing Co.
PRT® has passed all short-term submersion tests and holds up to the harshest fluids, including jet fuel, Skydrol, and many others. PRT® is made from a MIL-SPEC tubing, that is flame-retardant, RoHS, UL-rated, wrap-around heat-shrink that provides a means of repairing in-service wires or cables damaged from chafing. It can also be used as a secondary protection installation for applications that require additional protection. The best part of the PRT® line of products is that you’ll never again need to remove or disassemble your connectors or end hardware to install. Once installed, the PRT® wrap-around solution is very similar to conventional heat-shrink tubing, as it is shrunk using a heat gun. The major difference is that it is a wrap-around solution that can be cut specifically to your repair length and offers itself as an in-service repair tool for both indoor and outdoor applications. While many military branches use this product, it can also be used as a reliable solution in virtually any other industry, including the automotive and aerospace industries, and is suitable for both industrial and commercial uses. PRT® has passed all short-term submersion tests and holds up to the harshest fluids, including jet fuel, Skydrol, and many others. 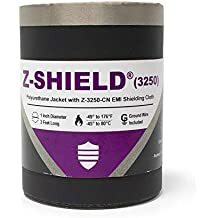 This product has been used in the field by the military since 1998 and is still used today as the top-choice product to repair and protect many sizes of wires and cables. A heat gun is used to re-cover the material in a fashion similar to standard, non-split, heat-shrinkable tubing. This material has an operational temperature range of -55° to 135°C (-67° to 275°F).